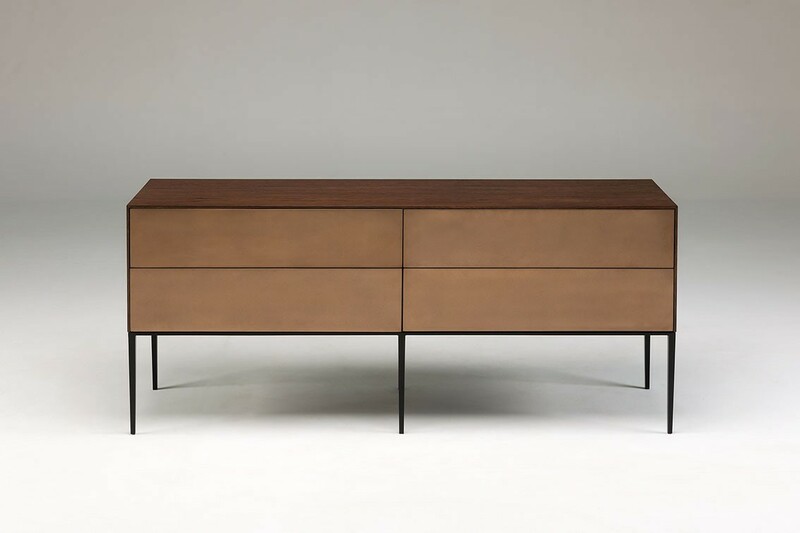 An elegant modern credenza offers a mix of subtle materials to compliment any décor. The body is made from Quarter Cut Oak Veneer with a polished smoky oak finish. Combining the metal drawers with the finely tapered legs which are powder coated generates a timeless classic design.